Chelsea line up move for Barcelona Midfielder - But not who you think it is! If I was to ask you who the Barcelona Midfielder was that is the latest player to be linked with Chelsea, who do you think it would be? Pedro or Messi? Well you are wrong, it's Alex Song! As we know Song has spent this season on loan at West Ham because the new Barcelona Manager Luis Enrique decided that he was not part of his plans. Now it seems that will be made official as Song will be made available for a permanent transfer this summer. Song is only 27 and what could be key to a move would be that he is classed as a "home grown player" having joined Arsenal as a 17-year-old and would bolster a club's quota for the season. 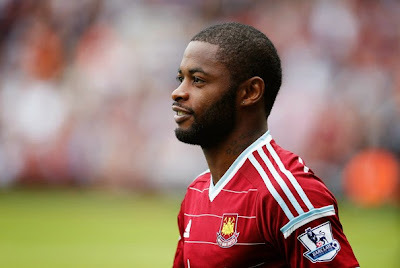 Personally, I like Alex Song and believe him to be underrated in England. It sounds ridiculous to say that bearing in mind Barcelona came calling for him a couple of seasons ago but for me, he has real talent. The general opinion of Chelsea is that the holding midfield position next to Nemanja Matic is somewhere that we need to strengthen this summer and all sorts of names are being linked. So far over recent days and weeks we have been linked to Paul Pogba, Koke and even Yaya Toure whereas Oriol Romeu who is already on our books is keen to play for Chelsea again. So what of Alex Song? Well it's obvious that Barcelona do not want him so he will be sold or loaned out again. What does he offer? Well the defensive side of his game is strong and he is good with the ball at his feet. He is actually more skillful than people give him credit and he could be the perfect foil for Matic in the heart of our midfield. I would imagine that he wouldn't be too expensive to sign and having played in the Premier League for most of his career, that would put him ahead of the likes of Pogba and Koke when it comes to a new signing in that position. I really rate Song and if I had a choice I would either give Oriol Romeu another crack next season or sign Alex Song. What do you people think?